Our 2 lb. 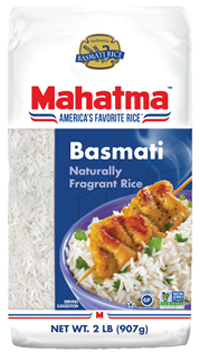 Mahatma Basmati rice is available in a convenient E-Z open and E-Z pour spout package. Click here to download and view helpful package hints.